Click the link above to download a video showing our packed tower. 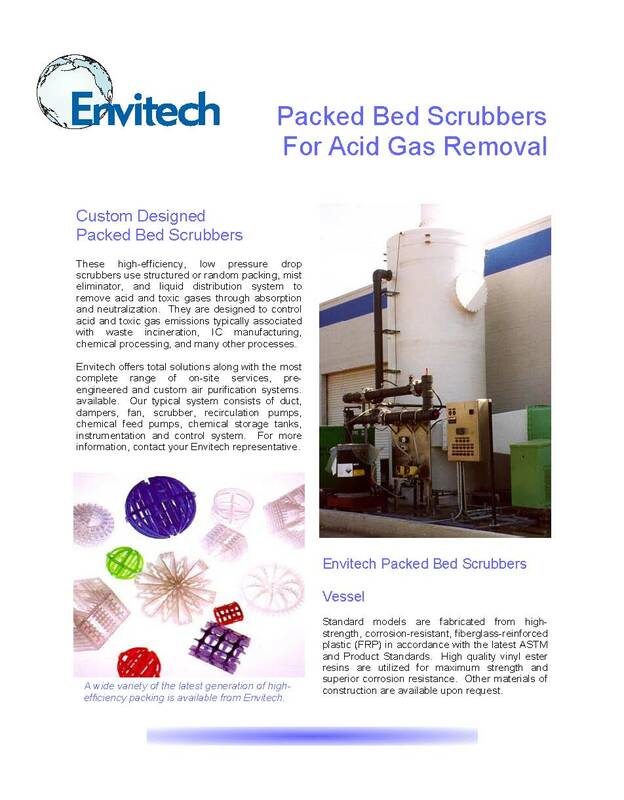 Envitech's high-efficiency, low pressure drop scrubbers use random or structured packing, a mist eliminator, and a liquid distribution system to remove acid and toxic gases through a process of absorption and neutralization. 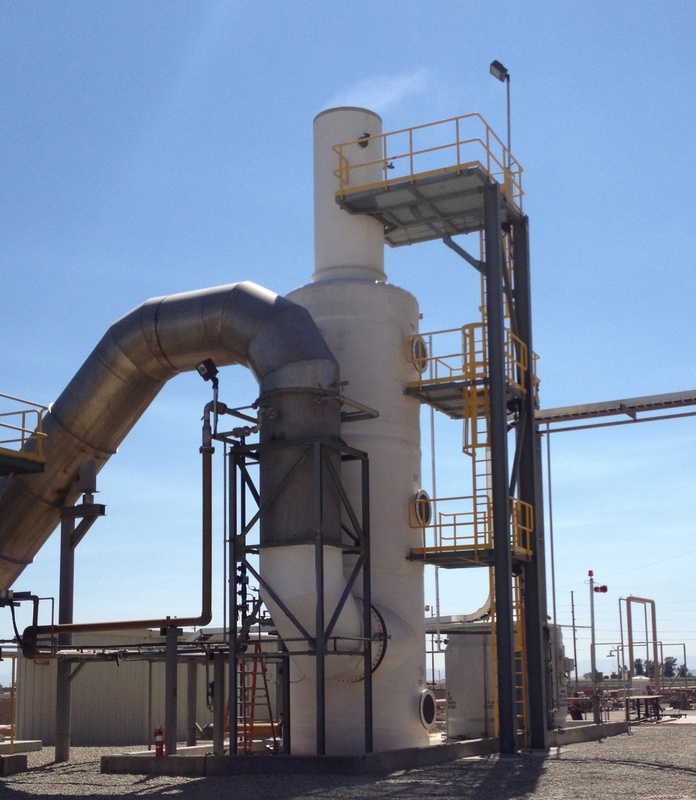 Many gaseous emission applications include the removal of SOx, HCl, HF, HBr, NH3, or NOx. 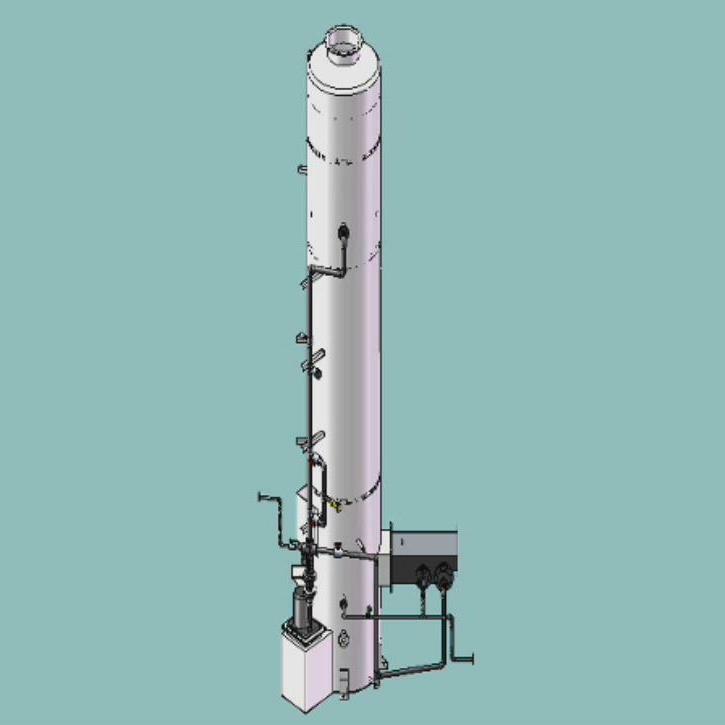 Standard models are fabricated from high-strength, corrosion-resistant, fiber-reinforced plastic (FRP) in accordance with the latest ASTM and product standards. Other materials of construction are available upon request. 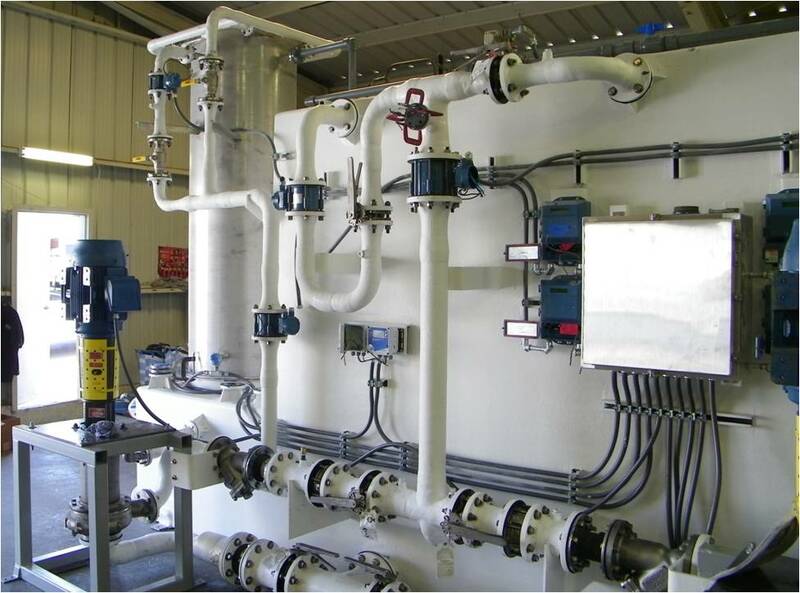 Our typical systems include all vessel internals, recirculation pumps, instrumentation, chemical feed pumps, chemical storage tank, and control system. Models within a certain size range can be shipped with a rectanugar footprint with a high degree of integration. These models are pre-piped, including piping, valves and fittings with instruments pre-wired to a junction box. This approach greatly reduces the cost of installation and start-up.